Watch out, Apple! You aren’t the only company making me eager to touch my electronics. 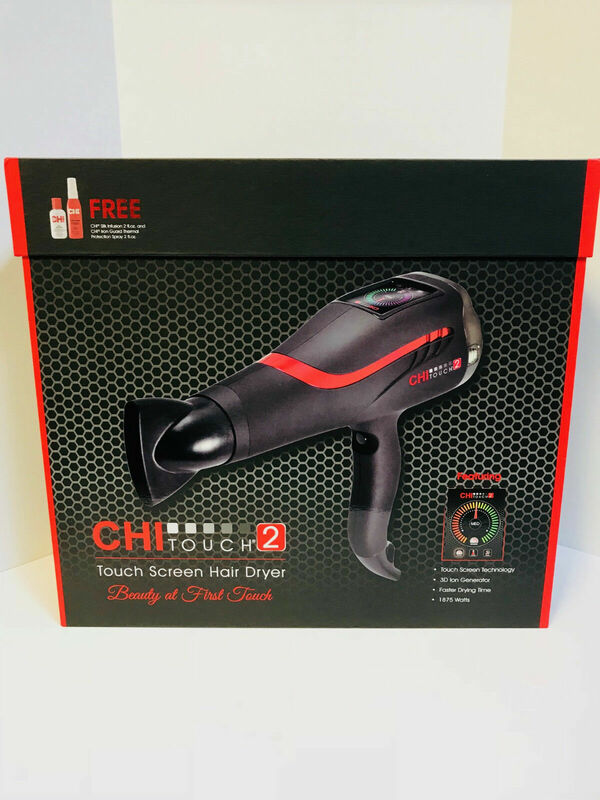 Chi has released a touch screen dryer to the market, which I have been using on set and with my clients for the past two weeks. Let’s un-box it and see what I think of its performance! WEIGHT: Extremely light and easy to handle. 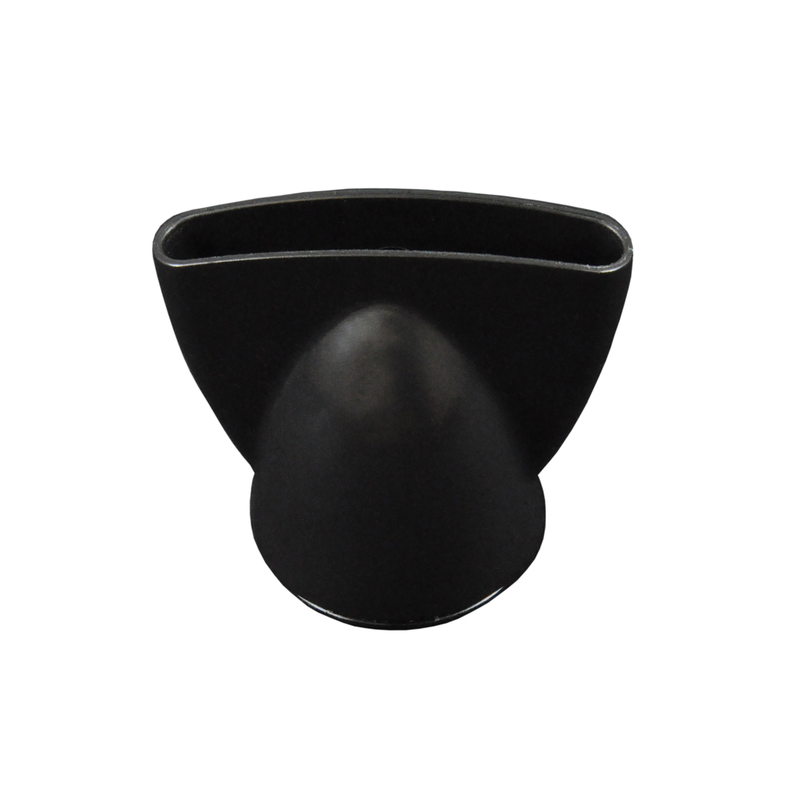 BODY MATERIAL: Soft rubber finish with a no-slip grip. NOISE LEVEL: The quietest dryer ever that I’ve ever heard. TOUCH SCREEN: Very basic and easy to navigate without reading the manual. 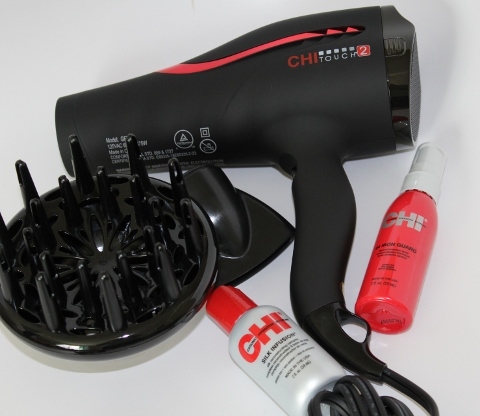 1800 watts – Our Most Powerful dryer yet = 50% less drying time. Lightweight ergonomic design weighs 40% less. New Soft Touch Rubber finish makes for the ultimate in styling comfort and non slip grip. 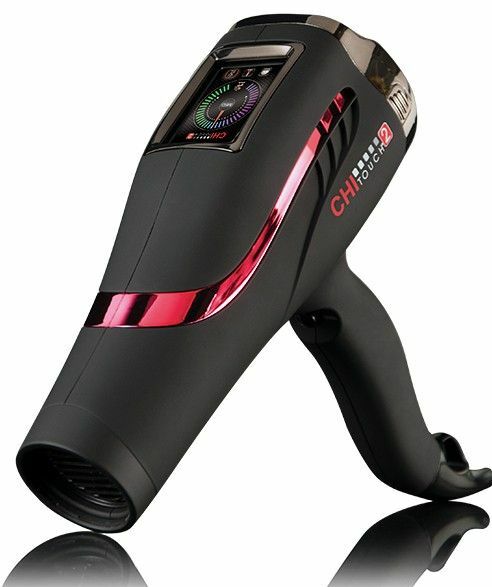 Superior DC motor quietest CHI dryer ever. 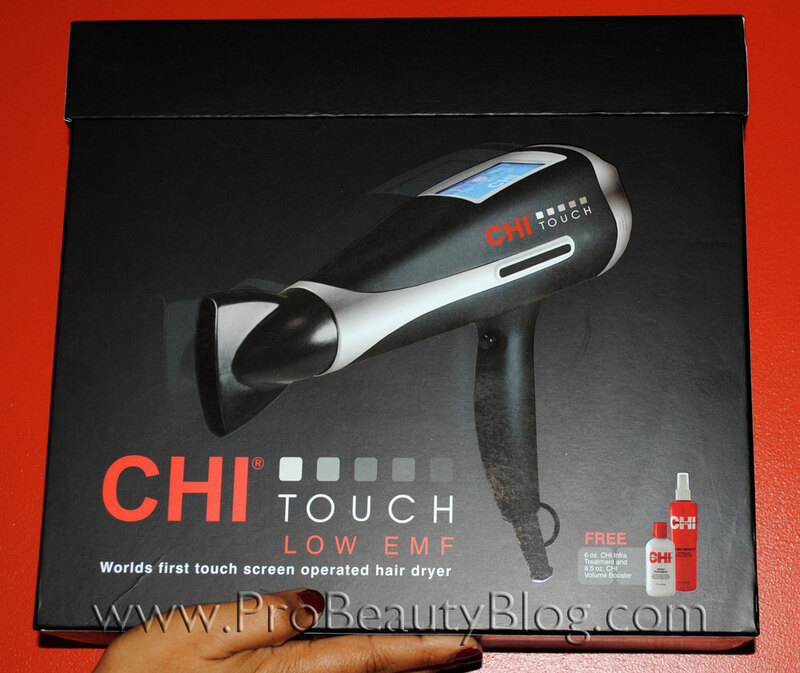 Touch Screen has 4 screens that give you a multitude of options for various types of hair. Home Screen; temperature, speed, & ions selection. Temperature Screen; 3 touch temperature settings for superior drying control. Speed Screen; 3 touch power settings for superior drying control. 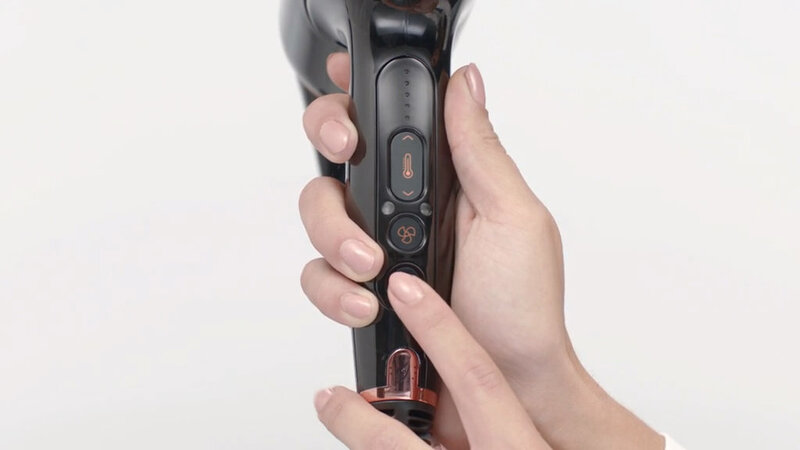 Ion Screen; 3 touch ion settings allows you to set ions to your hair type. Home screen button on each screen allows you to navigate back and forth to each screen. Let’s see what comes in the kit! 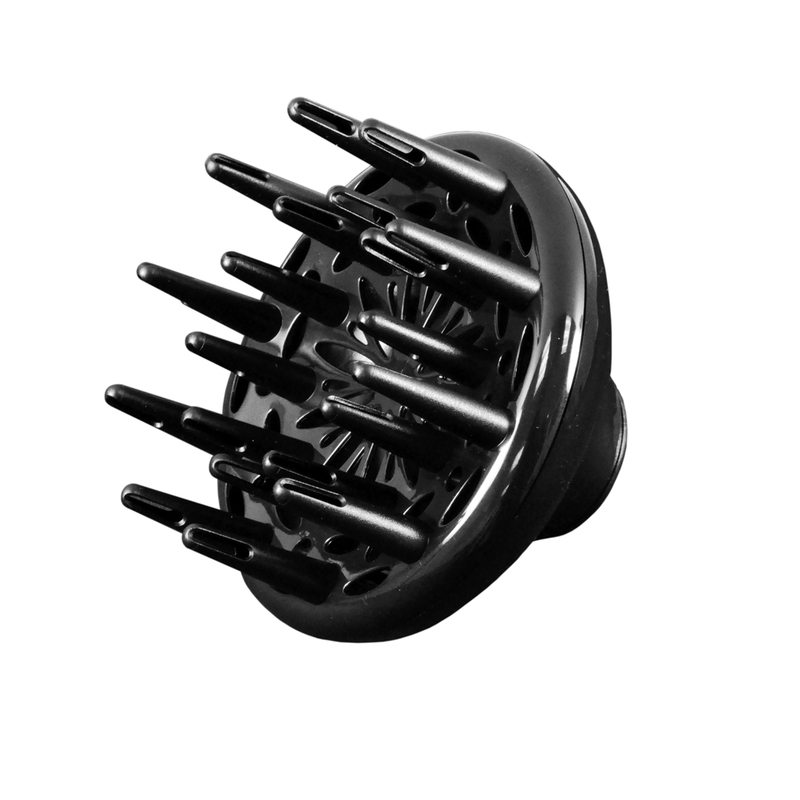 I was definitely pleased with the dryer’s performance and will continue to use it . 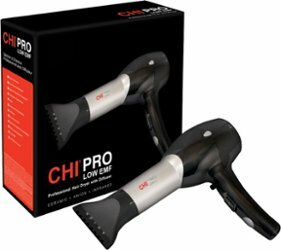 It was light on my wrist and the side grips made for perfect handling while I was doing blowouts on the wedding party. This dryer has earned a spot in my kit… right next to my Twin Turbo. I’m not sure if I’m quite ready to give my Twin Turbo yet (I’m old school, I know…), but it’s always great to have a quality back-up dryer in my kit! 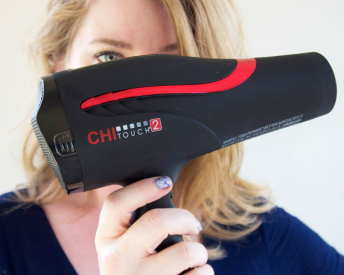 If you are looking for a new toy and are into gadgets, the Chi Touch has my vote! You can purchase it by clicking [HERE].